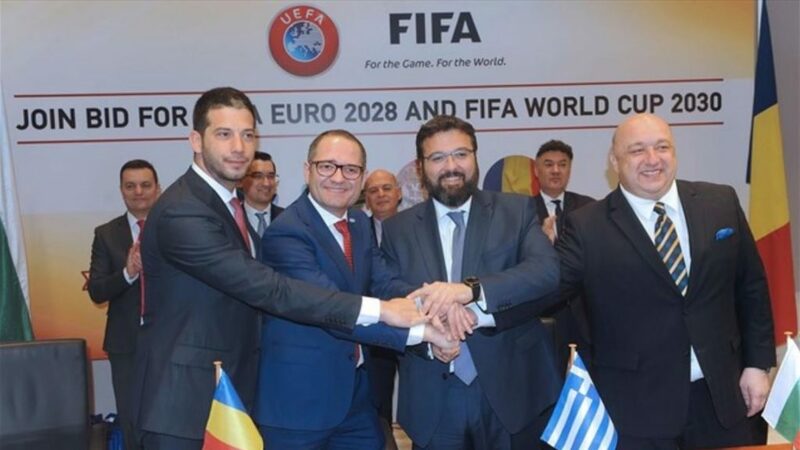 Greece, Serbia, Bulgaria and Romania announced a joint effort to host the 2030 World Cup and 2028 Euro games. Greek Deputy Sports Minister George Vasiliadis said that the four countries are on a “common course” that is kicking off with optimism for better days ahead for the region. He hosted the signing of a memorandum on Saturday after meetings in Thessaloniki. Vasiliadis’ counterparts from Serbia, Bulgaria and Romania joined him. Serbian Vanja Udovicic, Bulgarian Krasen Kralev and Romanian Bogdan Matei co-signed the document in the presence of football federation representatives from all four countries. Greece plans to (co-)host a World Cup!